I am teaching Namine’s art class. Namine is homeschooled, but there are some classes that aren’t really included in the curriculum, like art or gym. (As far as gym goes, her therapy sessions are more than enough to cover for that, to say nothing of her being in dance and basketball.) 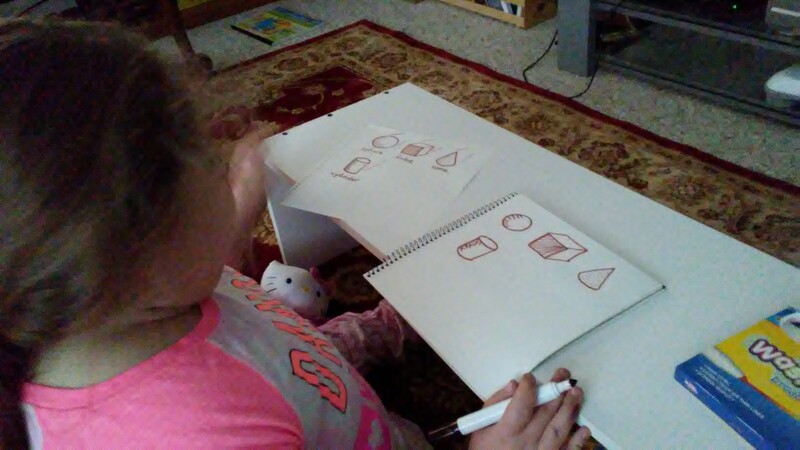 Namine and I don’t really have a regularly scheduled time in which to conduct art class, but from time to time I’ve been teaching her some concepts. Some time ago, we discussed perspective. This past weekend, we discussed shading. Being color blind, I’ve always been a big fan of providing depth within a single color. To that end, hatching and cross hatching are quite useful. I started out by drawing some basic three-dimensional shapes, and demonstrated where the shadows lay based on the direction of the light source. Namine picked it up pretty quickly, and was excited to try it on her own.